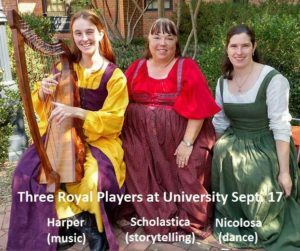 The Royal Players of Atlantia – a new program! And those performing arts that don’t fit into a category! The mission of the Royal Players of Atlantia is to serve as resources for event staff to help make time and space for all Performing Arts to happen at events throughout the kingdom and then to model excellence in performing themselves. Their term of service is one year, September to August, ensuring that among them at least one performer can travel to Gulf Wars and Pennsic to represent Atlantia in the Performing Arts communities there. For this first year, the Royal Players were appointed by Their Royal Majesties Dietrich and Thora, and future teams of Royal Players may be chosen by appointment or audition at the whim of the Crown. 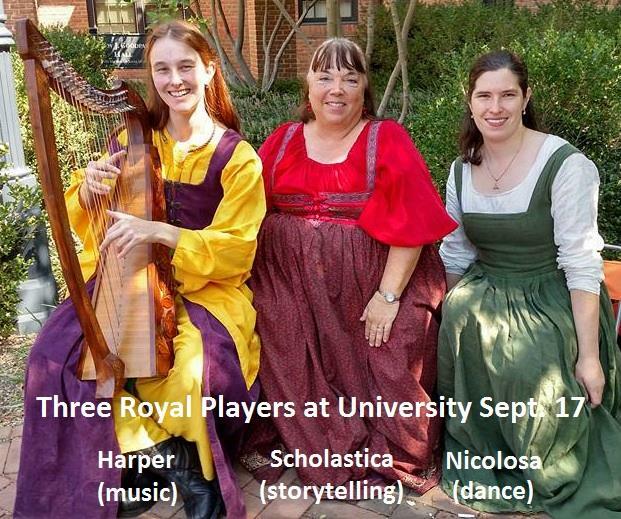 The Royal Bard(s) work as partners with the Royal Players and may serve as a Royal Player at the whim of the Crown. Administrative support to the Royal Players is provided by the Atlantia Performing Arts Guild. When you have need of music, entertainment, and the environmental richness that performing arts brings, reach out to these people and they will help you create the magic! Lady Sophia the Orange and Mistress Dervila Ni Leanon are serving as mentors and admin help for the team. 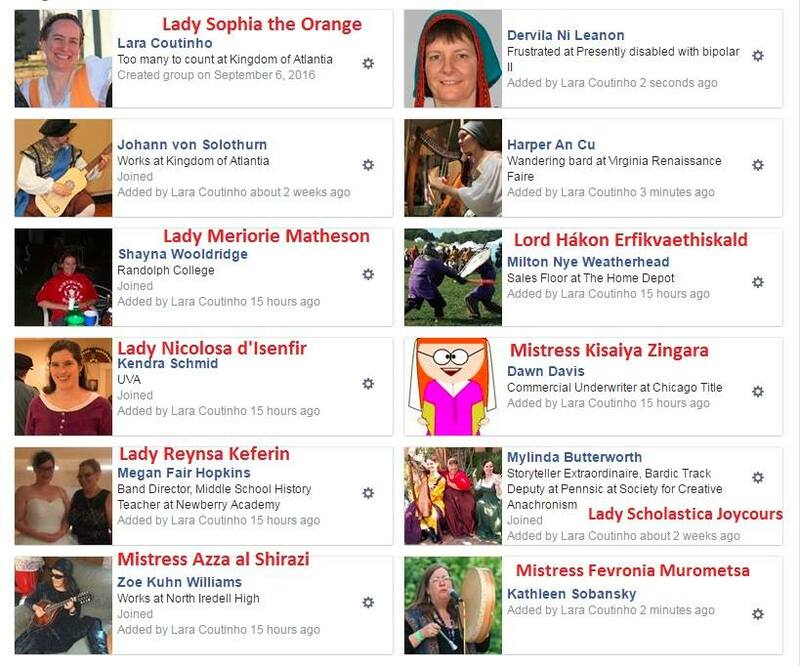 If you’re not a facebooker, please contact Lady Sophia the Orange via orangesophie AT gmail for email addresses to contact the Royal Players.